Although American scientists had been busy studying hormones in the 1930s and 1940s, Margaret sanger's dream of a pill for birth control improbably came to fruition because of the discovery of a wild Mexican yam. The yam was key to the development of synthetic hormones, a scientific advance necessary for the creation of the Pill. By the 1940s scientists had figured out the importance of hormones in the female reproductive cycle. They established that once a woman becomes pregnant, her fertility is suspended. A woman cannot conceive again while pregnant, because her ovaries secrete the hormones estrogen and progesterone. The secretion of estrogen tells the pituitary gland to withhold the hormones necessary for ovulation. The secretion of progesterone also helps to inhibit ovulation by suppressing the lutenizing hormone known as LH. Once scientists isolated progesterone and figured out its chemical structure, they moved on to explore possible therapeutic treatments using the hormone. Researchers hoped that progesterone would be effective in treating women suffering from gynecological disorders, especially painful menstruation. However, there were major obstacles to overcome in manufacturing a drug suitable for the general public. Natural progesterone was hard to come by. Extracting it from animal sources was difficult, time consuming and prohibitively expensive. Natural progesterone drug therapy required huge doses to be effective, and at a cost of anywhere from $80 to $1,000 per gram, only the richest patients could afford the treatment. The only customers for the drug turned out to be world-class race horse breeders, who used it to improve the fertility of their mares. Aside from the high cost, the drug had to be given as an injection, and the shots were painful and not well metabolized. Unless researchers could find a way to produce a highly effective synthetic oral dosage of the hormone, the treatment would remain impractical. In 1943 a chemist by the name of Russell Marker came up with the answer. 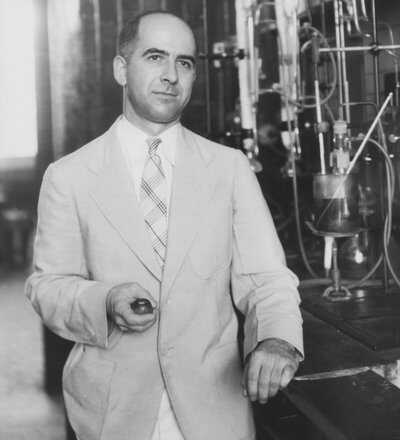 As a professor at Penn State, Marker had discovered a way to extract progesterone from plant material. Soon after, he was able to create synthetic estrogen from vegetation as well. His path-breaking process, which became known as the "Marker Degradation," remains the basis of synthetic hormone production today. Marker still needed to find a plant that could yield enough progesterone to make mass production possible. He traveled across America in search of the right source, but came up empty-handed. Unwilling to abandon his quest, he headed south to Mexico in search of a plant called cabeza de negrothat he had read about by chance in a dusty old regional Texas botany book. His hunch was correct, and the giant tubers proved to be an excellent source for the cheap mass production of progesterone. Although the drug could be mass-produced inexpensively, there were still huge drawbacks. Marker's synthetic progesterone wasn't effective orally, and had to be given by injection. Patients would have to endure painful shots of huge doses of the drug for it to work. In the early 1950s, Frank Colton and Carl Djerassi, two chemists working independently at separate pharmaceutical companies, took Marker's work one step farther. The scientists each created a highly potent oral form of synthetic progesterone. Working for Syntex, a pharmaceutical company based in Mexico, Djerassi invented norethindrone. This synthetic progesterone was not only orally effective, it was also eight times more potent than natural progesterone. At Searle, Colton created another version of orally effective synthetic progesterone called norethynodrel. With the advent of these new drugs, the Pill came into existence. Although neither Djerassi or Colton developed the drug for contraceptive purposes, both Searle and Syntex had an oral contraceptive right under their noses. Although Djerassi synthesized his version of the drug first, Searle beat Syntex to market. 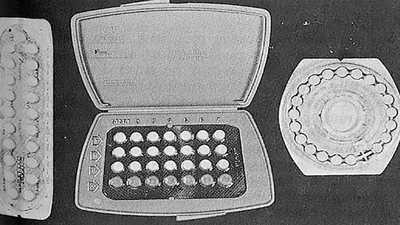 Less than a decade after Colton and Djerassi's breakthrough, with Gregory Pincus making the connection to contraception, Searle's Pill would reach American consumers. Scroll through a month and monitor the changing balance of hormones in a woman's reproductive cycle. 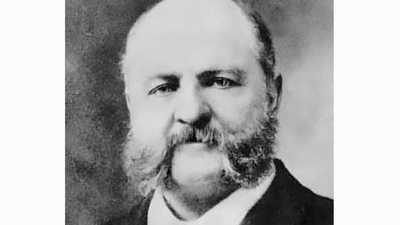 The driving force behind the original anti-birth control statutes was a New Yorker named Anthony Comstock. 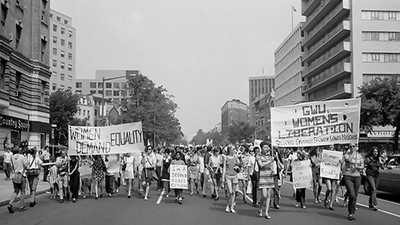 As the 1960s progressed, the women's liberation movement gained momentum alongside the civil rights and anti-war movements.